The desire for the quick win within Youth Ministry is all around. Making your talk count when you only have 10 minutes! The Ultimate Youth Ministry resource kit! 3 Crucial practices that fuel unstoppable growth in youth Ministry! How to build youth Ministry from scratch! 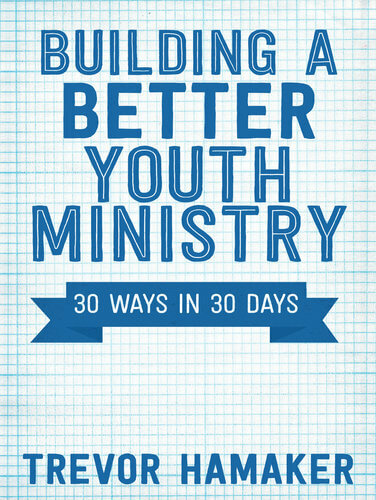 Building a better youth ministry 30 Ways in 30 days! The desire for the instant formula. The perfect Model. The quick win is all too apparent. It sells books. It sells resources. It reduces a ministry that involves young people and their families to a strategy. Strategic thinking dehumanises. But how did we get to this in Youth Ministry. When did trying to formulise, create methods and models come from? For arguments sake, in the UK, we might say that the birth of Youth Ministry might have started with the Sunday Schools in the 1700’s. In the USA the most powerful form of youth ministry might be traced only as far back as the 1940’s and possibly up to only 40 years previously. But as Andrew Root picks up the story, by the time Sunday Schools had crossed the atlantic, their key function was to regenerate the US nation away from cultural distractions and the spread of modernity, rationality and to protect adolescents. At the same time, between 1940 onwards the world progressed in technological, industrial and managerial fields. The advances in science and technology paved the ways for new languages and new statements of values. People became an asset, a user, a client, a customer, even less than that, a number. Technology also brought risks. Things also replaced relationships for spaces in which meaning was found. If a person could choose things for meaning, then they also could choose relationships, on their own terms. Skip forward a decade, and post war America was flagging spiritually. The sunday schools were losing young people. and american nationalism was taking effect post WW2 , as the US discovered its strong leadership in the world. The middle class evangelicals were rising, but needed a way of reconnecting with the broader US public. In a age of emerging technology, and nationalism, step forward a former wheaton graduate, Billy Graham. What is less known about Billy Graham this side of the pond is quite how much Graham tapped into the US culture and psyche for its message that feared modernity, and heralded a type of patriotism through his confidence and preaching. His message was more well known. Not only could individuals choose their own relationships in society, they could also choose a relationship with Jesus. A one step in or out decision. It was a simple message. And it appealed to the culture of its day, it was also influenced by the culture of its day. Pick up any book, journal or article about Billy Graham, and you cannot fail to notice that numbers of people attending his rallies, talks and events are widely known. What is also widely reported is the numbers of people who make ‘commitments’ at these events. What im not questioning is legitimacy. It is that it was measurability. Measuring success by numbers was a scientific and technological invention. The process of faith became a production line, rally, talk, prayer, follow up, church and discipleship. Not only was practices affected by scientific reductionism, but theology was too. Reducing the Bible to appeal to teenagers has been common place. Since the four spiritual laws (invented because youth ministers needed something ‘quick’ to share with young people) were invented, various other similar simplified, reduced formula have been used for explaining the gospel. ‘The bridge’, or one of the things from the 1990s was the chair diagram. There have been attempts to explain the whole bible in 3 verses, or ‘the 10 verses you only need to know’ . The desire for simplicity, is not accidental. Again it is a reaction to culture. If we have to tell young people something, it needs to be quick. and simple. It is reductionist thinking in culture being applied to theology. To make something easy , quick, measurable and controlled. what might that mean for the Gospel? well its complicated. Actually its not complicated at all. It and God itself has become trained in our image. The God of effective youth ministry is that can be fit into a 2 minute talk. But thats not all. The influence of broader culture has not only had an effect on the nature and content of the Gospel. It has also affect the practices of the relational Youth ministry. If the reaction to the quick sell evangelism and large scale rallies of Billy Graham was to develop low profile but as locally renown youth ministers into schools, college and churches to begin ‘relational’ youth ministry. Because very quickly, the desire for relationships (as befalling the culture of the day) was not being met through Billy Grahams technique, then on the ground relationships became a new strategy with Young Life. Relationships became a strategy in Youth Ministry because the aim of developing a relationship with a young person was for it to ‘do something’. To Invite them to a ‘thing’, to ‘earn the right to tell them about Jesus’, and to use a relationship to help a young person find a relationship with Jesus. The relationship was strategic. In a culture of self chosen relationships this became very popular. The simple strategic relationship has dominated US and UK youth ministry. Think about ‘friendship evangelism’ and you’re not far off. Ill stop there with the history lesson. If you want to read further, check out Andrew Roots Revisiting relational Youth Ministry (2007) or Joined up (2003) by Danny Brierley. But can you see the trajectory. As the broader culture emphasised modernity, measurability and calcubility, this had an effect on the way in which the Gospel was honed and presented, and then strategies of influence emerged including talks and the development of relationships. It starts with the effect of Scientific and Technological thinking on Theology, how in youth ministry we read and interpret, and use the Bible. Let me give an example. If i said to you that ‘Jesus is a gate’ what would you be thinking? a literal gate? a garden gate? edge of the field gate? sheep-pen gate? iron gate? castle gate? which side of the gate are you on? what is the terrain like? what is the weather like as you picture the gate? is the gate open, or is it closed? The gate is a metaphor. If i said that ‘God is Good’ – what do you think then good vs evil? good behaviour? common good? its not so easy is it. Strangely Jesus seemed to use alot of metaphors to describe himself. What a metaphor does is expand thought. It allows us to travel along it exhausting many possibilities, even finding cul-de -sacs – but there is something joyous about the travel, the thinking and the playfulness of the ride. Its as if it teases. For too long Theology has been restricted to the straight jacket of understandability, of reductionism and simplicity. There has been too much speed in defining a word, and reducing it to one meaning, or avoiding the playfulness of metaphors, poetry and symbol that might expand thought. Even the christian life, so frequently described as a journey, seems to only a be road with very few turn offs. Youth Ministry within a reductive faith, has become sold as a practice that desires strategies, formulas, quick wins and results. In short it has been sold a package, led to disappointment and used young people as a customer. Becoming more concerned with a strategy, and the outcome, a package and a formula. Finding the perfect method and model has been the key search. Finding what ‘works’ and copying it. Youth ministry as a universalism and package started with the Sunday schools, no not the first one. But the famous one. Raikes had access to a printing press, and now everyone could have the same resources. The second part will explore further how a non scientific view of theology might be needed as the starting point. But in the meantime, it is worth thinking of how scientific, consumerist and managerial language, so dominant in the last 100 years has affected theological thinking and youth ministry as a result. Was the golden era in Youth Ministry- ever that Golden?